Today is my birthday and so I am going to put up a very special posting. 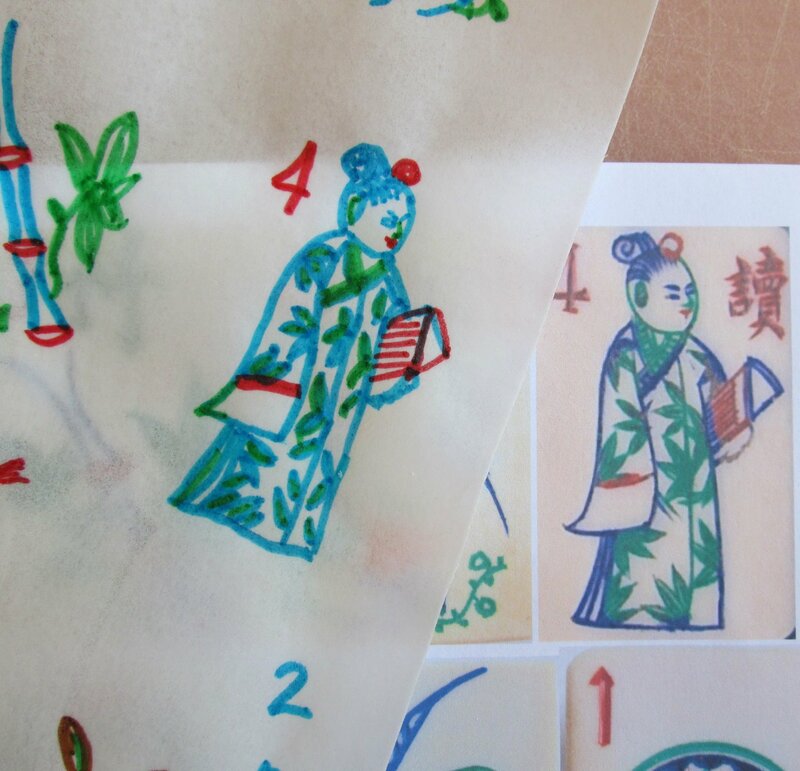 Do you remember the postings on this blog of the fabulous beach depictions of Mah Jongg Flower tiles made last year by our dear friend Kat? 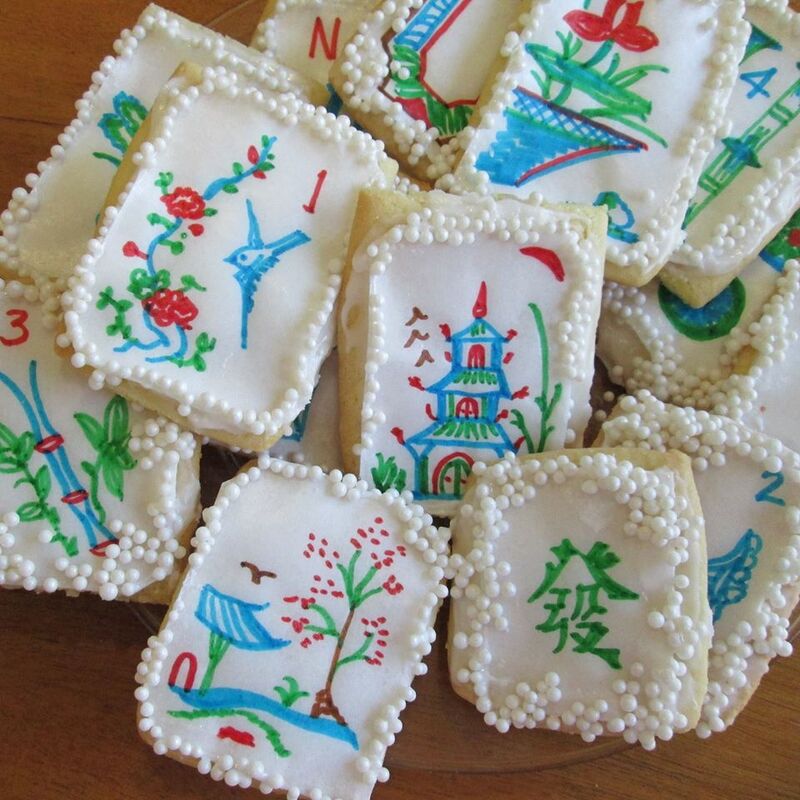 Well, she has gone a step further and decorated the most magnificent Mah Jongg cookies and sent the photos to me – the only present that could be better would be if I happened to be in her kitchen right now, deciding whether or not I would actually destroy these works of art by eating them! 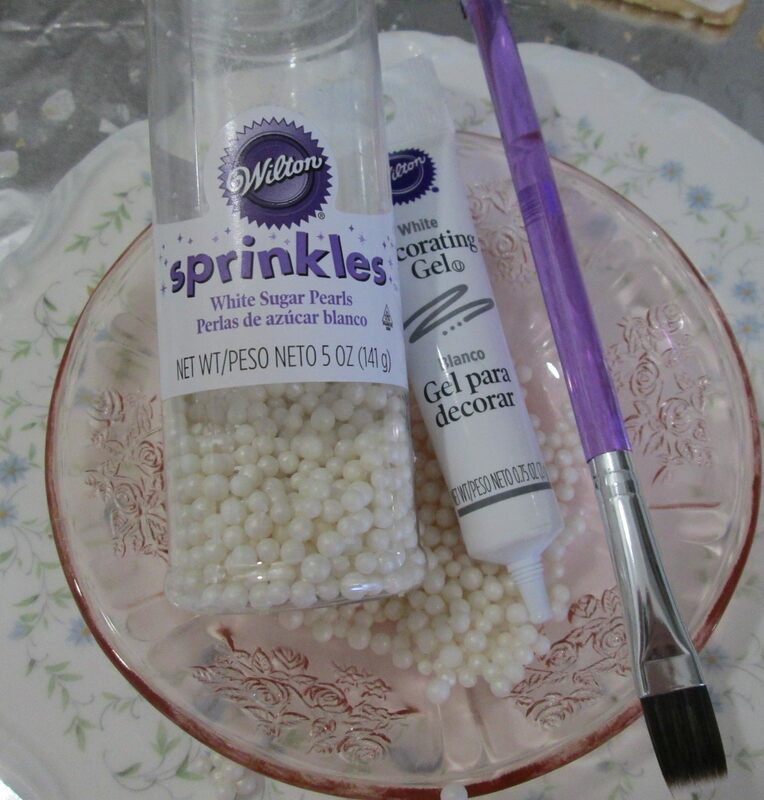 Oh, BTW, I LOVED, LOVED, LOVED what Kat used for a rolling pin…read on! And…ENJOY!!! COOKIES…. 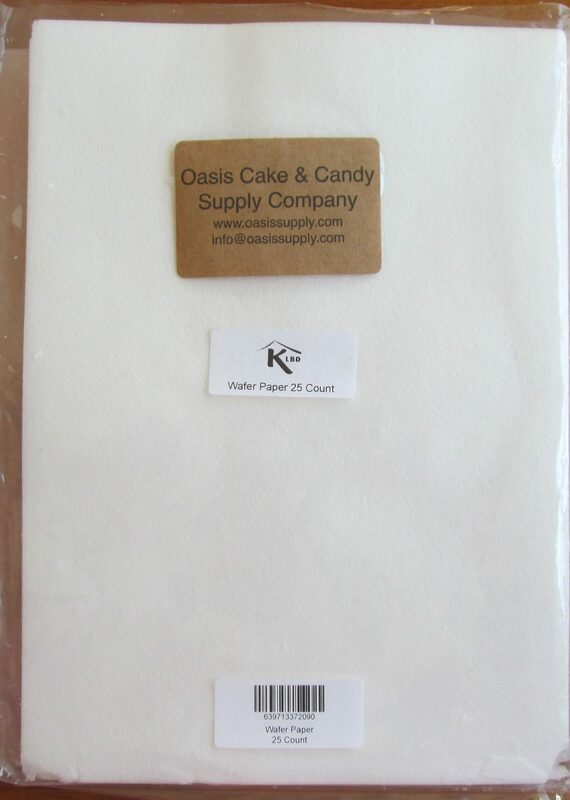 This is the best I could come up with… I ordered rice paper, edible “markers” and a few other decorating items (all from Amazon). 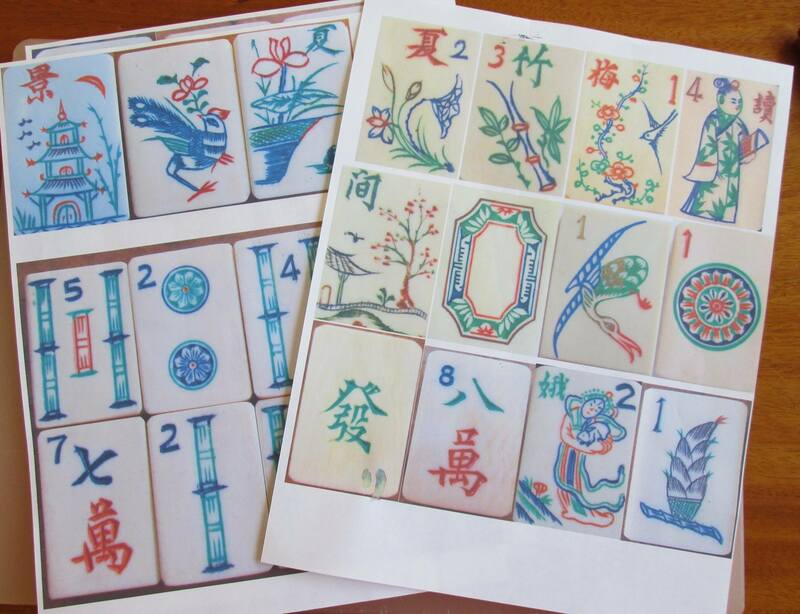 First I took photos of some of my mahjong tiles. Cropped, arranged them together and enlarged. 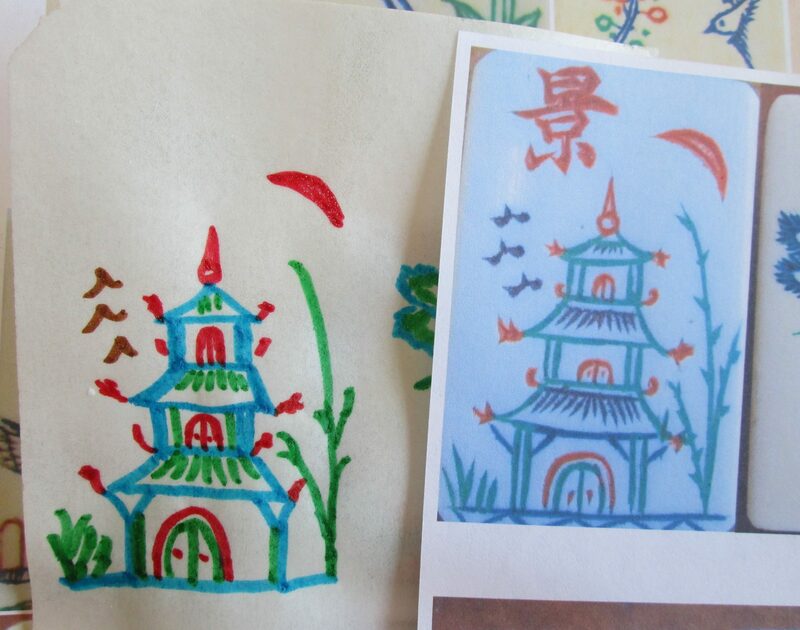 After I printed the photos, I placed the image behind the rice paper and traced. I used the image as a guideline and just did my thing, and did not worrying that the drawing was not perfect. Next I made cookie dough, then rolled it out and cut cookies. I couldn’t find my rolling pin so used a bottle of Merlot. 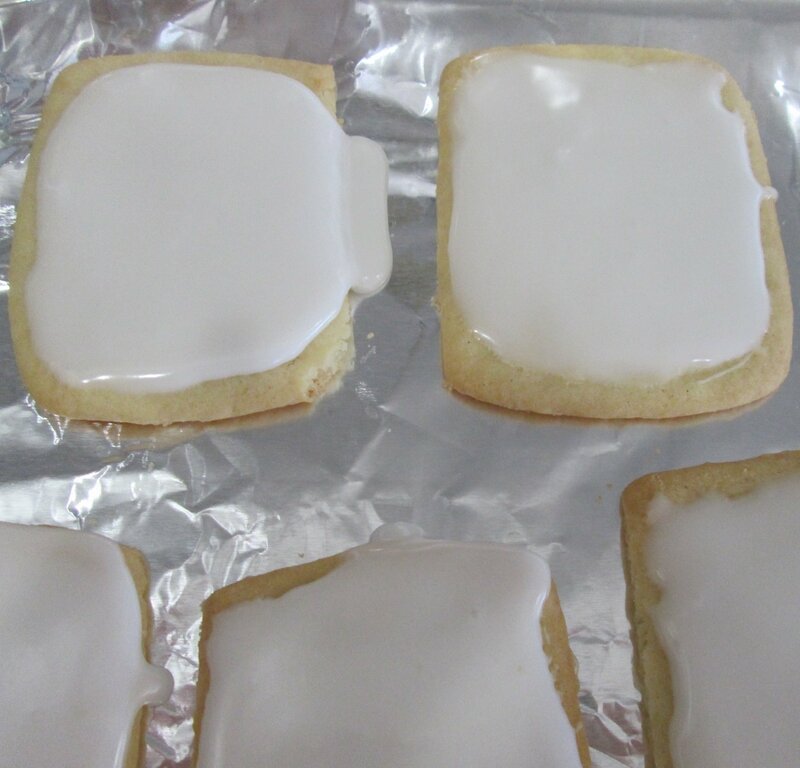 I also did not have a rectangle cookie cutter so I used a lid to a lacquer box…. Well, I had to use something:) Bake cookies, cool. Make cookie glaze. 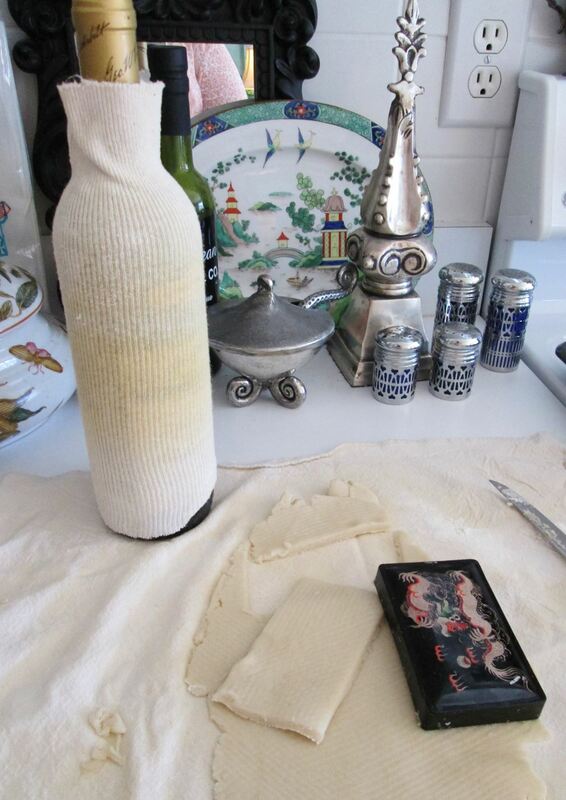 After you glaze the cookies, you can add the rice paper immediately while the glaze is still wet…. 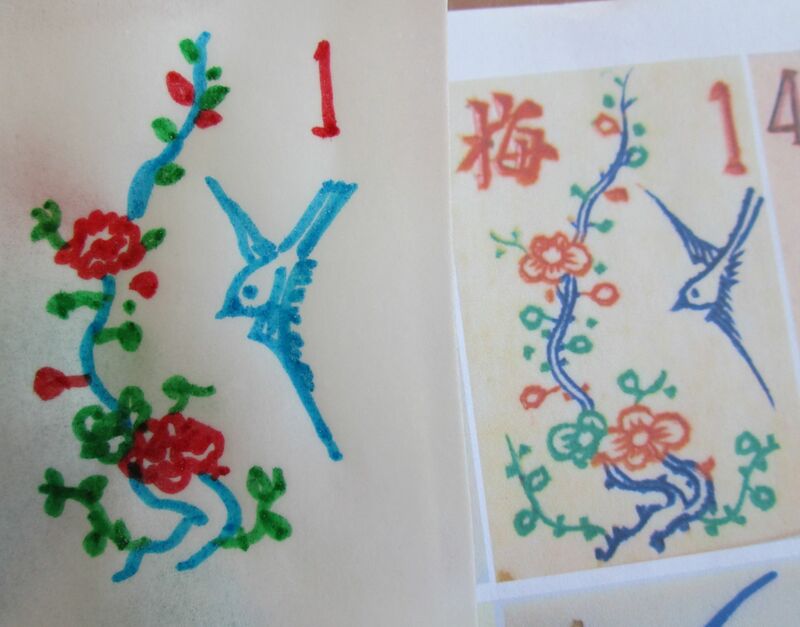 Or you can let the glaze dry and paint on corn syrup to use a glue for the rice paper to adhere to the glaze. 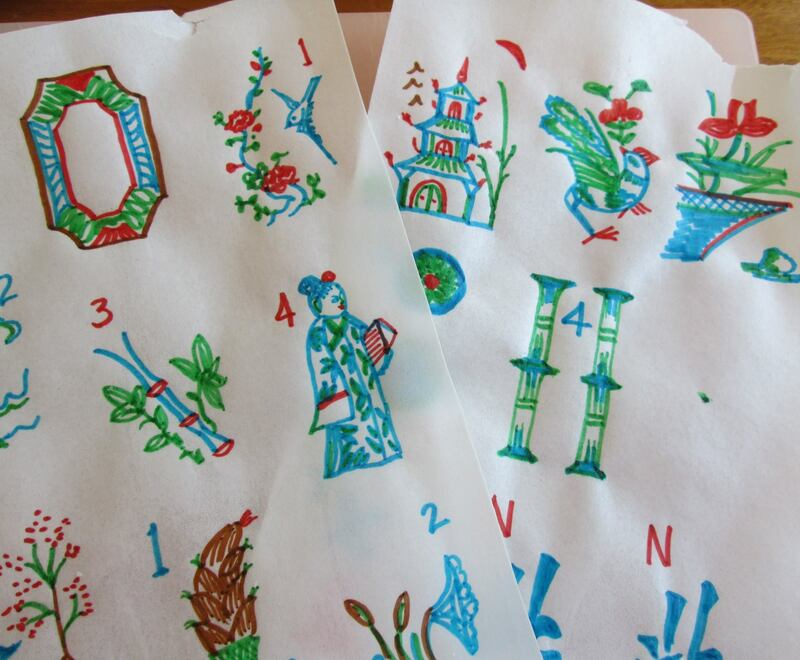 Next, decorate the border… Then EAT. Okay, they are not perfect and I could have done a lot more like add bits of frosting and other decorative embellishments… But this is not my cup of tea…not knowing where my rolling pin is located should be a clue there. 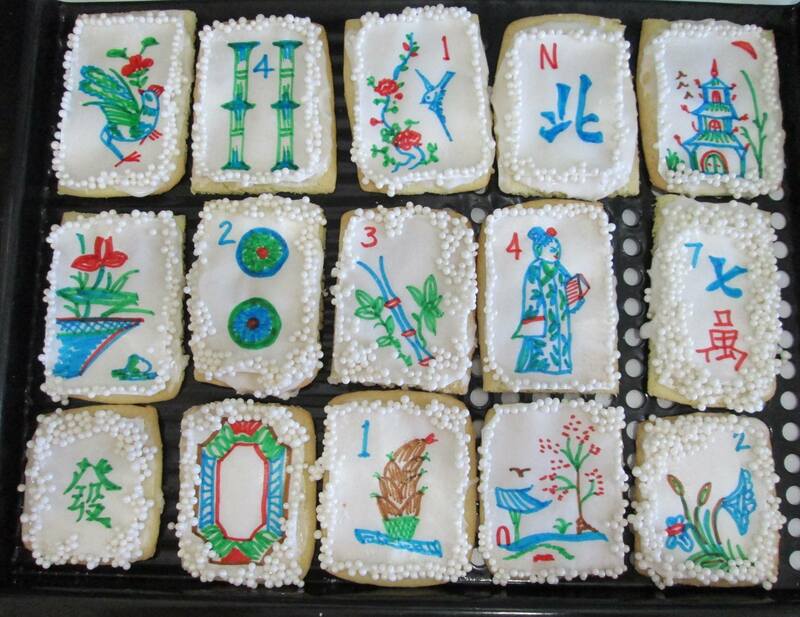 I do have something else to try in the edible mahjong world that is more my cup of tea, stay tuned. Seventeen images here so you can see steps along the way. This entry was posted in Mah Jongg and Me and tagged AmeriColor, Gourmet Writer, mah jongg, Merlot, Oasis Cake & Candy Supply Company, rice paper, wafer paper, Wilton Decorating Gel, Wilton Sprinkles on January 24, 2015 by Mah Jongg and Me. Wishing you all the best on your birthday . I’d bake you a cake for the day..hope the OMs surprise you with a real one on Wednesday….love, love, love your book. 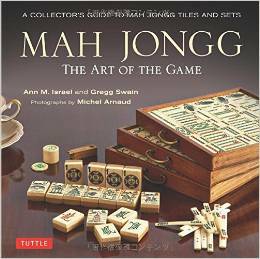 I am donating a copy as a raffle prize at an upcoming mah jongg event here in Toronto in April. Oh my gosh, these are wonderful!! Talk about necessity being the mother of invention! Happy Birthday, Ann! 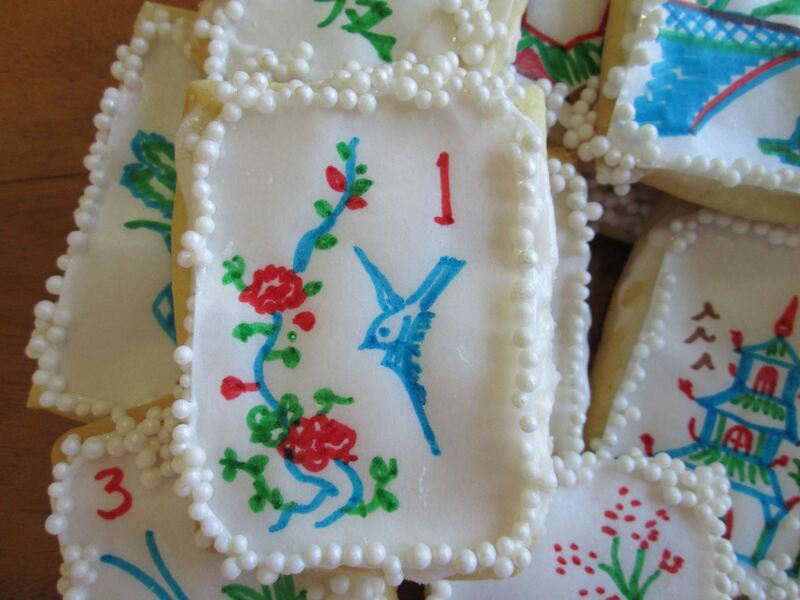 Those cookies make me smile – they are so beautiful! Thanks for the nice wishes!!! Susan – you just made my day with this lovely and very message. Thank you so much. 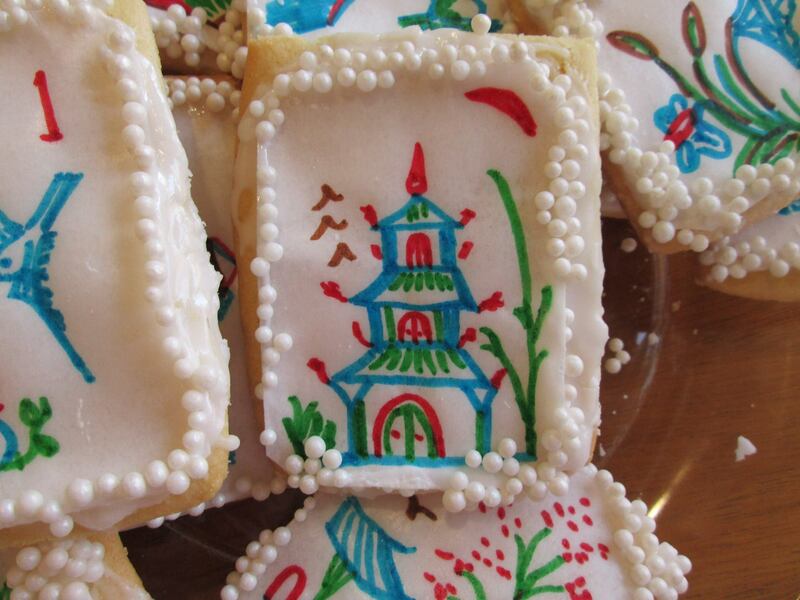 These cookies are absolutely delightful, as were another woman’s several weeks ago. 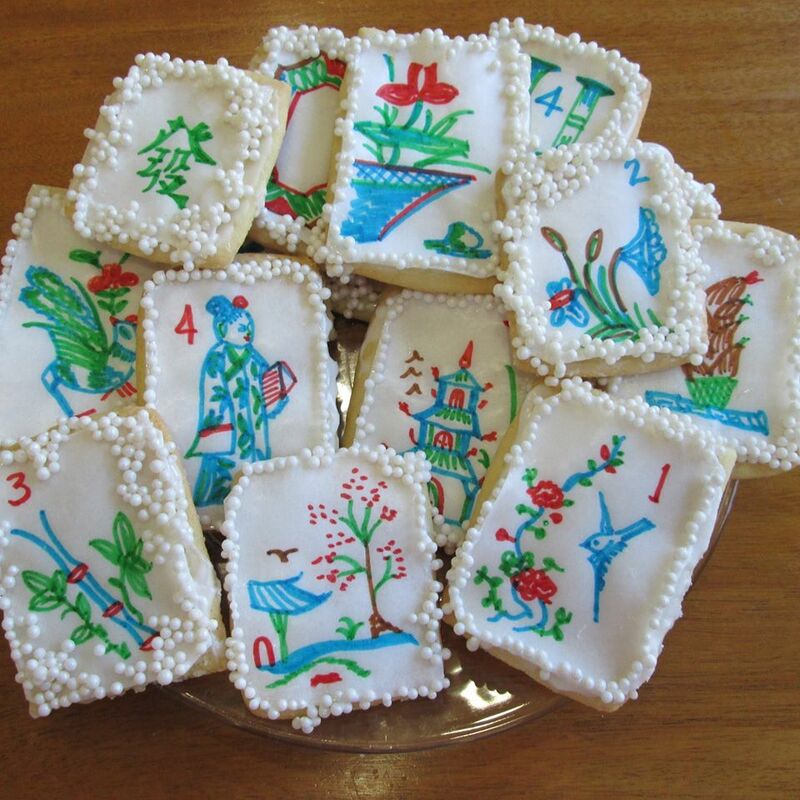 I’ve made shortbread cookies with the Fancy Flour edible paper Mah Jongg images. They’re not nearly as nice! What a lovely ‘Birthday Gift’ for ANN! Hope there are many good wishes and more treats ahead this week as you visit Naples and your many fans who are anxious to hear your Book Presentation! As always Ann, you bring so much to others. This post with all the wonderful cookies that Kat made and detailing every step makes me rethink the promise to “never do this again! !” I will with this technique! With all that said, I want to wish you a wonderful Birthday and hope that you get back on this day all the happiness you give to so many all year long. Wishing you great journeys in the following year! Jan – as always, you have sent me such a beautiful and heartwarming message. Thank you! Happy Birthday, and many more. Love the blog; love the book. Thanks for the birthday wishes; your wine comment made me laugh out loud – BTW, I agree! Oh, Betty Sue – I am going to try to plan a trip to San Angelo just so I can meet you! Thanks for this wonderful message and your wonderful comments about the book. 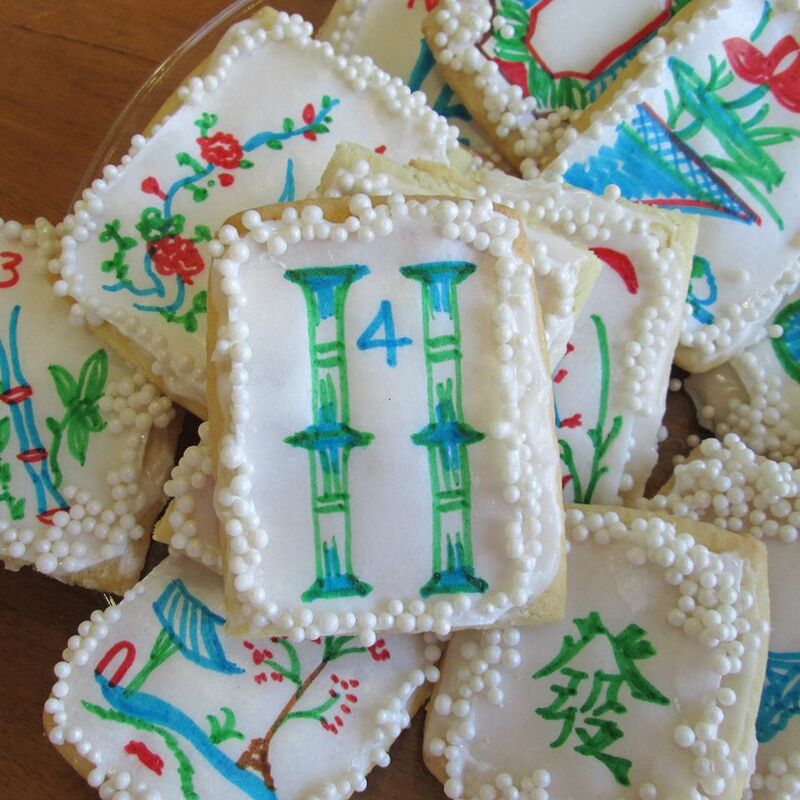 Katherine – thank you for this special message…just as special as these beautiful cookies. Wishing many smiles back at you! Happiest of Birthdays Ann! Those cookies are way too beautiful to eat and should be ‘dipped in a plastic coating’ so they can last forever or at the very least made into magnets! Such inspiration! 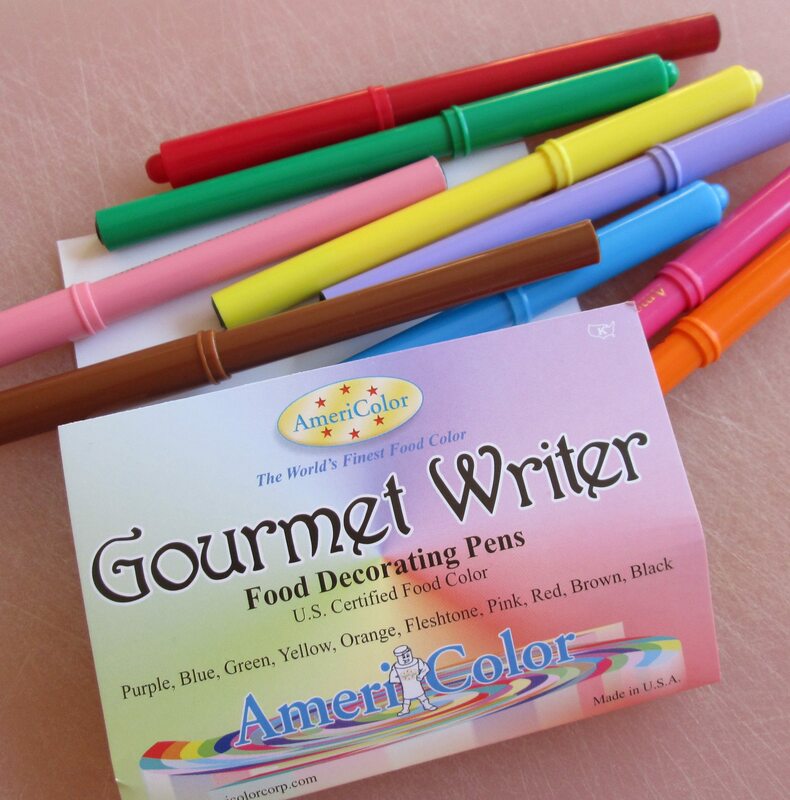 Hi Donna – I agree…those cookies really are works of art! I hope that your birthday has been a special one and thank you for sharing Katherine’s cookie artistry! You always manage to bring joy into my life between you blog and your fabulous book!! Caren – thank you for this lovely message – you always say the most wonderful things. Happy happy birthday Ann. The two most favorite things in my life are cooking (especially cookies) and Mah Jongg. I am definitely going to try to make these before this next Wednesday. We’re in for a snow storm and it will be the perfect time to experiment. 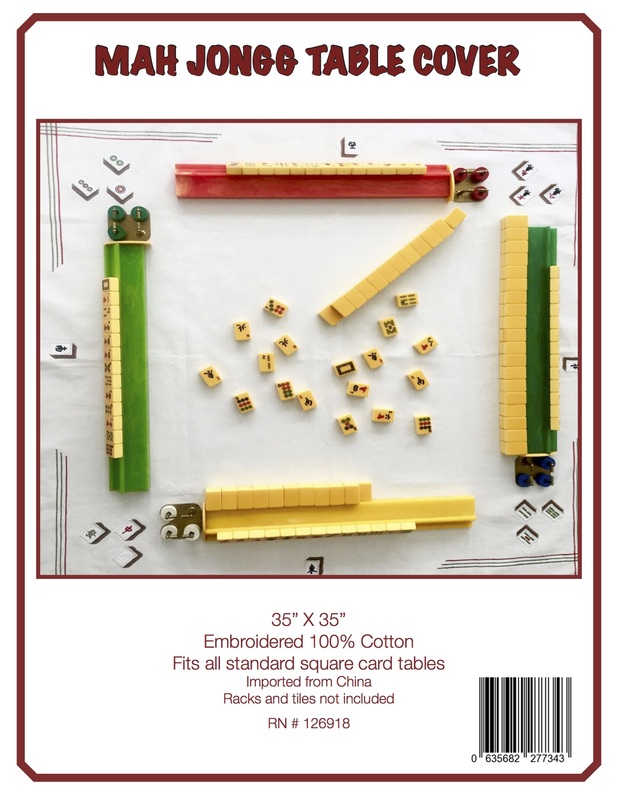 Again, I wish you a year of happiness, peace and much enjoyment playing Mah Jongg. Carol – thank you so much for this lovely – and much appreciated – message. 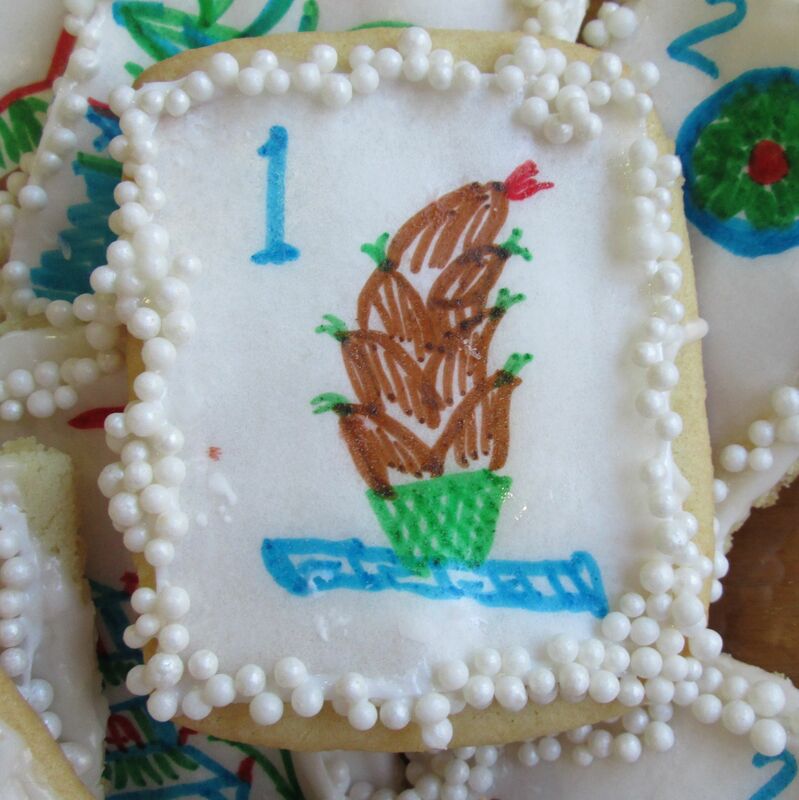 Good luck with your cookies – send photos!